Then book your freeski stay in Valtellina, that brings you fun and it makes you ski for free, at the beginning and at the end of the season! Choose the Skipass Free offer in Livigno and you will enjoy a stay full of comfort in the heart of the "Little Tibet", with all the pleasure of skiing in Valtellina's best skiing slopes at zero cost. Thanks to this ski pass free offer for skiing in Livigno, you will tell your friends how fun it is to enjoy the Mottolino and Carosello 3000 slopes on the Stelvio. Take advantage of the last minute free ski holiday in Livigno, at the beginning of the season or at the end, is always a good way to have fun in the most famous ski slopes of all Livigno area and to involve friends and family. 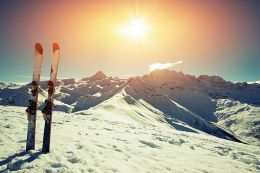 You will dedicate yourself to all winter sports in the Mottolino and Carosello 3000 ski areas, including alpine ski runs, cross-country ski trails, ski lifts and 3 snow parks, without losing ice skating or climbing in the ice-gym. Here is what to expect if you choose free ski holidays in the Livigno area. Livigno, which has always been called "The Little Tibet", is a charming mountain resort between the Bernina and the Ortles-Cevedale, and although it boasts just 3000 meters of altitude, after skiing in one of the slopes you will surely be impressed. Do not miss the free ski passes in Valtellina at Hotel Loredana, and book your stay immediately.